This film and I have a history. I saw it at the cinema back in 1986 and I hated it. Absolutely hated it. One of the most excruciating cinematic experiences of my life. Horrible movie. So horrible I have never seen it since, not any of it. I really hate seeing bad films at the cinema- hasn’t happened to me too often thank goodness. Its one thing to be watching a bad movie on home video, you can switch it off, hit that ‘eject’ button, but at the cinema? You’re stuck there for the ride. Even if the projectionist should really know better and put the patrons out of their misery by faking a power cut or something. So me and Invaders From Mars. We met in 1986 and never again since. Until last night. Louise Fletcher. I’ll never forget my horror at seeing the wonderful Louise Fletcher who I had previously seen in Brainstorm, in which she was so monumentally brilliant, slumming in this film as the teacher from hell that eats a frog for no discernible reason. She hams it up in this film with its rubber martian monsters like she’s in a cheap muppet movie, privy to some joke none of us are in on (maybe its her paycheck that she finds so amusing). James Karen, so wonderful in the horror comedy Return of the Living Dead, incredibly miscast here as some army general, smoking cigars like his life depended on the smoke hiding his face/shame from the camera. Karen Black as the oddly hysterical school nurse is just so wrong, wrong, wrong in so many ways, its like she’s walked onset from some other movie. But really the true horror is the kid. Hunter Carson is the nominal star of the film, the child ‘hero’ David Gardner whose parents are under the martian influence. I don’t think I’ve ever seen such a bad child performance in a movie- the only thing that gives this a run for its money is Jake Lloyd in The Phantom Menace. Really its terrible, as if they got some kid off the streets and shoved him in the movie. Its really quite bizarre, he even manages to ‘move’ all wrong- even when he runs across the playground it looks like he’s acting. I can only imagine what the producers thought after seeing the dailies roll in. They must have known they were in trouble. I always wondered how the hell he got through any audition and then I discovered he was the child of Karen Black so maybe it was some kind of package deal that horribly misfired. Or maybe its all Tobe Hooper’s fault. Maybe it’s just how Hooper was directing Carson. The thing is, the central conceit of the original Invaders From Mars was its dreamlike quality, it was the stuff of a child nightmare. Camera angles were always low, the art direction exaggerated perspective with its strange sets, the colours all exaggerated… I actually think in some odd way Hooper was doing something along those lines with how the actors in his remake were delivering their lines and acting, not like real people/characters, but somehow like a childs picture of adult behavior, like adults in a child’s dream. Unfortunately it doesn’t work in the slightest, the adults just look stupidly overacting, and the kid, well, he’s just incredibly irritating. I don’t know what Hooper was thinking. Lifeforce has this strange, almost camp quality of a huge blockbuster Hammer film that never was, but Invaders From Mars… its just badly shot, badly acted, badly directed. A complete mess. Its a really ill judged film. Of course, when he was making Lifeforce, Hooper thought he was making a horror movie. When it was screened he was reportedly upset that audiences were laughing at it. So maybe following that experience he approached Invaders From Mars in some odd way at playing for the laughs (in which case he misfired again) or was suffering from a complete lack of confidence. I don’t know. It certainly doesn’t help the case for him having had any hand in directing Poltergeist, because none of the suburban scenes in Invaders look anything like as sophisticated as those of Poltergeist, and none of the stunts or horror gags have any of the finesse of Poltergeist. Its clearly the work of another director, far as I can tell. 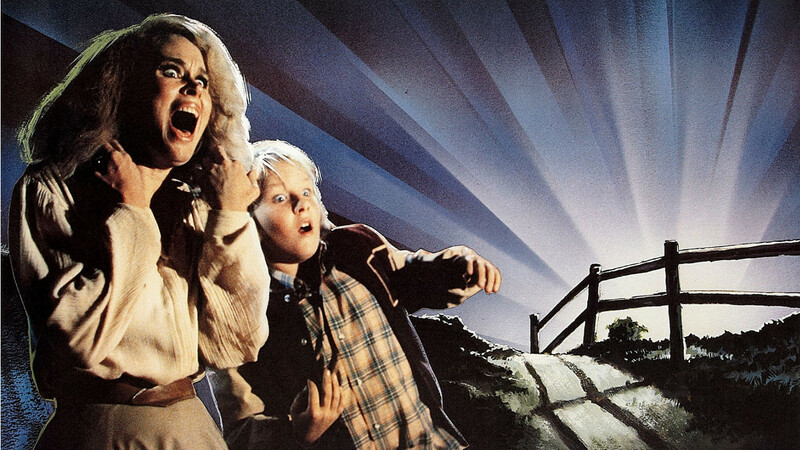 If Hooper did indeed direct Poltergeist, then I have to wonder, what the hell happened to him in the next few years. Did he get abducted by Martians? Did he shoot this film with a plaster on the back of his neck? There’s a car chase roughly midway through Taken 3. Its edited so tight, with such a bewildering number of shots cut into apparently almost every second or so, complete with camera shakes and frenzied focus-pulls, that it made me feel physically nauseous. Literally. I had to look away from the screen. It was an utterly dizzying assault on the senses, a blitzkrieg of visual information that left me quite incapable to fathom the details of exactly what was going on. Piecing together the chaotic shots into a meaningful sequence of events that told a story – or indeed the progression of a stunt- became incredibly difficult. If you thought the action stuff in the Bourne Identity films were a bit maddeningly edited then think again; they seem quite sedate in hindsight. The way this is shot and edited you really cannot tell what the hell is going on half the time. Really, it was ridiculous. Perhaps the younger generation that this film was aimed at can readily process this sequence at ease. Indeed, perhaps its the crazy pace of how its edited that raises their excitement levels and dispels any ennui on their part. But to me its just terrible film-making, terrible storytelling. Its confusing, its pulling me out of the movie. Maybe its just covering up really bad stunt choreography. It all looks like the work of an amateur to me, to be honest; lots of flash and whistles to disguise the lack of style and imagination. Indeed, this frenzied car chase sums up the whole movie- very dumb and very loud, very contrived and very ill-judged. If this is the future of action cinema then perhaps I should go get my coat and leave. 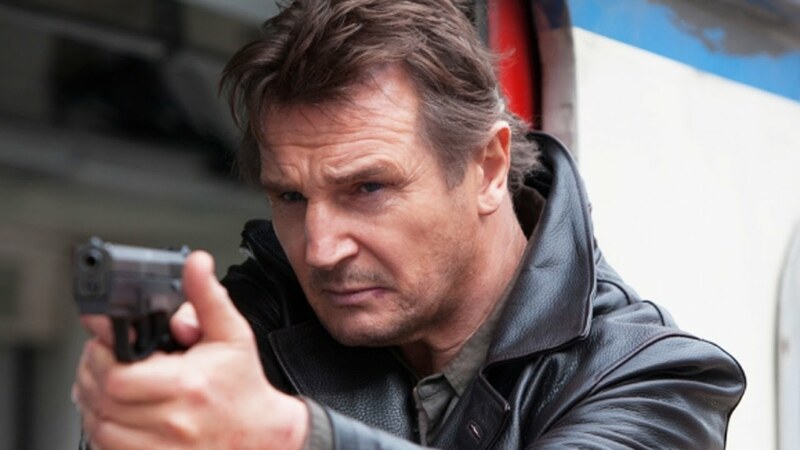 Its not just the car chase of course- all the action sequences and fight scenes are similarly badly staged and terribly edited.Its such a shame, as I really enjoyed Taken and hoped the second film was just a miss-step, but it seems obvious now that the first film was just a lucky fluke. And of course the work of a vastly more accomplished director.